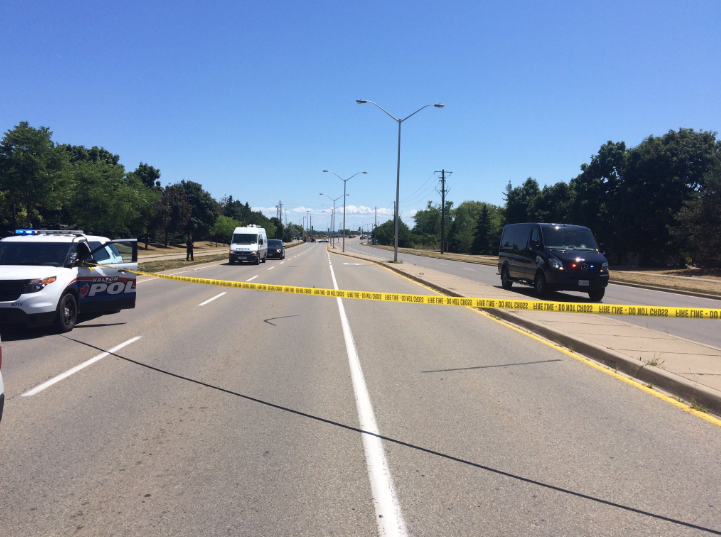 A 40-year-old Oakville man is dead and a woman is injured following a four-vehicle collision in Oakville. Halton Police responded to the scene on Third Line, between North Service Rd. and Abbeywood Dr., at 12:50 p.m. Monday. The man was driving a grey Hyundai northbound on Third Line when he lost control of his vehicle, say police. It struck the median, veering across the northbound lanes and hitting a minivan from behind. The minivan rear-ended a third vehicle which was stopped at a red light at Abbeywood. The Hyundai continued north until it came to a stop, hitting a fourth vehicle, also waiting at a red light. Paramedics transported the Oakville man to hospital where he died shortly after. The man’s name isn’t being released by police. A 48-year-old Woodbridge woman – driving the minivan – was taken to local hospital with minor injuries. The other two drivers weren’t injured. Alcohol or speed weren’t factors in the crash, say police. A post-mortem examination will determine the cause of death. Police say a medical condition may have contributed to the collision. Witnesses are asked to phone 905-825-4747 extension 5065.